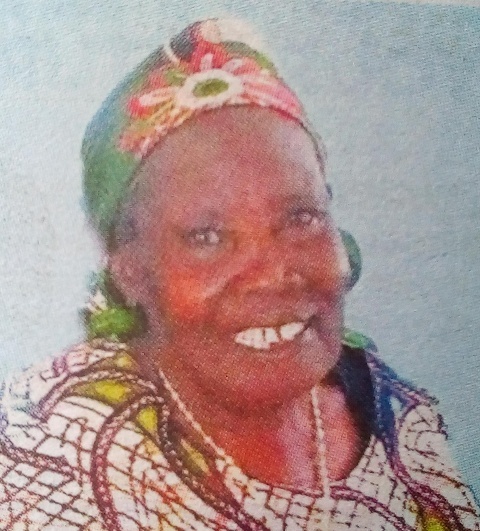 It is with humble acceptance of God’s will that we announce the demise of Mama Eunice Nyarere Mobagi which occurred on 1st Feb. 2019. Grandmother to Frank and Vincent(USA), Joan, Ogaro, Peter, Delkin, Arnold, Clinton, Newton, Griffin, Victor(Netherlands), George, lkonges, Ongakis among others. 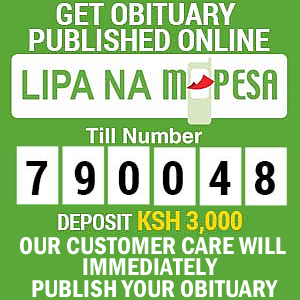 Friends and relatives are meeting daily at Amabuko, Keroka and Garden Square, Nairobi. Main fundraising will be on 13th February 2019 at Professional Centre Nairobi from 5pm. 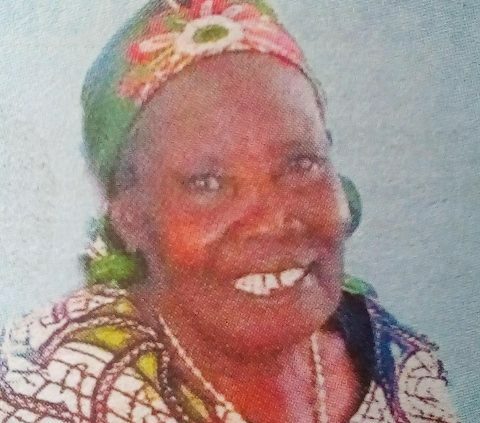 The cortege leaves Hema Funeral Home on Thursday 14th February 2019 for burial ceremony at her home, Amabuko on Friday 15th February 2019. “In God’s hands we rest her soul, in our hearts she will live forever.” Amen.